Finding a genuine work at home job is not easy. 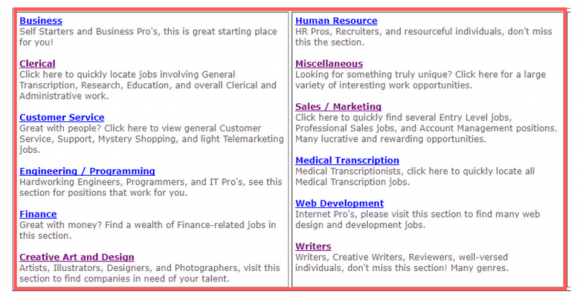 When you try searching for a real work at home job, you will first find tons of scams. It can be nearly impossible to tell the difference between a legitimate offer and one that will only lead to heartache and loss. There is only one place I recommend for finding legitimate work at home jobs. It’s affordable and it’s guaranteed. How to Find Work at Home Jobs. If you want to find legitimate work from home jobs, you must first find a legitimate job listing service. That is precisely what Home Job Stop is. Home Job Stop has been online since 2000 and lists current telecommuting and work at home jobs. Jobs offered include full-time, part-time, and freelance. You won’t find these job offers on free job boards. While there is a modest one-time fee of $18 to join Home Job Stop, it will save you weeks of searching online and dealing with scam sites. There are no additional fees, and it does not cost anything to apply for a job. Most jobs posted on Home Job Stop are in North America and Europe. However, with most of the jobs, it doesn’t matter where you live if you have access to the internet. There are also jobs for people living in other countries, including India. Real Work at Home Jobs. The jobs listed with Home Job Stop are real work at home jobs. You won’t find any get rich quick schemes, hype or advertising. These are genuine jobs with well-established companies. Some of the jobs may require experience and qualifications, but there are also jobs for people without experience, education or qualifications. You will, of course, need a reliable internet connection. Work at Home Job Categories. Job categories include Business, Clerical, Customer Service, Engineering/Programming, Finance, Creative Art & Design, Human Resources, Medical Transcription, Web Development, Writers, and Miscellaneous. It’s recommended that you search each category. The search box makes it easy. How Current are the Jobs? For the most part, the jobs listed on Home Job Stop are current and up to date. However, some companies have a perpetual need for people and have kept the same job listed for years. A perpetual need for people may indicate a growing company, but it may also indicate that there is a large turnover and people are not happy with that job. You will occasionally find a job or two that is no longer available. This is probably because the website administration has not been notified by the company. Home Job Stop is available through ClickBank and has the famous ClickBank 60-Day Money Back Guarantee. You can try Home Job Stop for 60 days, and if for any reason you are not satisfied, you can get a complete refund. There really is no risk. Home Job Stop is an excellent source of legitimate work at home jobs at a very reasonable price with a 60 Day Money Back Guarantee. You can’t lose. If you are struggling to find a work at home job, Home Job Stop is more than worth it. It will save you weeks of searching online and sorting through scams which can get very, very expensive. If you pay the onetime fee and honestly can’t find a work from home job in 60 days, ask for your money back. The Last Word on Work at Home Jobs. Searching for a genuine work at home job will mostly lead you to online scams. At best, these scams will waste your time and energy. It’s easy to get demoralized if you are suffering money pressures and your job search goes nowhere. Worse, if you feel desperate, you might fall for a scam and end up losing money you can’t afford to lose. When you join Home Job Stop, you bypass the scams and go straight to the job search. Was this article helpful? Please share your thoughts and experiences with Work at Home Jobs in the comment section below. Thank you. This is a very timely article as I’m looking for a real work from home job. I’ve been freelancing in places like Upwork and Craigslist and currently seeking employment on different Facebook groups. I will give Home Job Stop a shot and see how it will go. I’m pleased you found my article on work at home jobs helpful and hope you find a great job with HomeJobStop. Home Job Stop sounds like the kind of thing I need bad right now. I’m working 3 jobs, but could use another. Something I could do at home would be ideal. It is hard to filter the real ones from the total scams though, sounds like they do all the hard research for you already..
Because of the solid guarantee, you really can’t lose with Home Job Stop and it will save you from wasting time chasing scams. Some friends quickly found jobs in transcription, but others have told me that it took longer to find something. I have come to the realization that work from home is the best option for me right now. Home job stop sounds like the perfect place for me to get started and the $18 fee isn’t bad with the 60 day money back guarantee. Your advice here has me on there site as we speak, Thanks for the information! I’m glad you found my article Work at Home Jobs helpful. My girlfriend and several of her friends found jobs they like there. 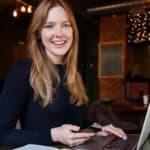 Great article on home job stop, I am interested in working from home and am looking for a genuine way to help me get started. I am learning about affiliate marketing at the moment but am interested in doing something in freelance, would this be a good option. Another question I have is the $18 for membership a one off payment. Yes, the $18 is a one time payment for life-time membership, and it’s guaranteed for 60 days. There are many job categories that are specifically looking for freelancers, including ‘Art & Design’ and ‘Writing.’ Within the other categories you may also find freelance opportunities. Thank you for the helpful article on the Work at Home Jobs. The cost does seem to be reasonable, moreover, as there is the money back guarantee. I am tired of all the online scams and feel happy to finally find some legit option. Have you tried to apply for any job using this platform? Do all the people get paid or has anyone experienced any problems with payment? I guess you have gone through the reviews, as well, so in case any payment problem arose – it should have been mentioned there. I have not found any complaints about HomeJobStop. And no one has complained to me about it either. My girlfriend and her friends quickly found transcription jobs through the job board and have been very pleased with it. Thank you for the great write up about working from home! I have repeatedly search for work at home jobs on and off in the past, tried a few things out here and there, but never really successfully found anything that panned out well. Your advice for Home Job Stop sounds really good and deserved a bookmark in the browser! I will save this for a time when I might need to look for something to do at home again! I’m glad you found my article on Work at Home Jobs helpful. There are a lot of jobs available because it is cost effective for the companies to hire independent contractors. HomeJobStop is the best I’ve found. Thank you for taking the time to write this review. I have found that the last few months I have been searching harder than ever to find ways to stay home with my kids after my maternity leave ends in a couple of months. I have found scam after scam, and anything good out there is so flooded with people applying that I haven’t even received a response back. I am definitely going to give this site a go after reading this and am hoping to have a job well before my mat leave is over! You really can’t lose with the job board I recommend here. The guarantee is genuine and I know several people who have found work at home jobs with it. I do hope you find a job you like that pays you well and lets you stay home with your children. Since I am based in Europe, I was interested that you said most of the jobs offered on Work at home jobs were in N. America and Europe. Is it the case that the vast majority are USA based? I looked through their web-site and it does not make this clear. I am so glad I have found this link, though because I have seen so many scams promising overnight riches and that is really demoralising. At $18, it is worth the research to see what is available. Since most will be online based, I guess the only limitation is the language. Since English is my first language that suits me fine. Once again, thanks, I am so glad I found your report. Although most of the jobs are in North America and Europe most can be worked from anywhere with an internet connection. There are a few jobs that require that you live in a specific region, but most of the jobs are not dependent on where you live. You can work these jobs from anywhere. Yes, I think most of the jobs are also dependent on English, but not all. The 60 day guarantee is real, so anyone can purchase life-time access and search through the job bank. If they don’t find something that suits them, they can get their money back. Your post has provided some useful information. I am one of those people you are talking about, that has wasted a lot of time and money looking around trying to find ways to make money from home. Gary was that the only reliable source for work from home resource you have been able to find? Thank you for the information. I think most of us lose money and time when we search for legitimate ways to make money online. I know I sure did. It seems to be part of the learning process. So far, this is the best resource I’ve found for legitimate work at home jobs. It’s affordable and reliable. The generous guarantee makes it risk free. I’m always open to finding new reliable sources for earning money from home so if you know of other reliable websites, please let me know. Hi Gary, great post. You really come accross as wanting to help out and share. The info is interesting and should be a really helpful site with many people needing help in that area. Hopefully it will be useful for some and change lives. Not sure of any constructive critiism here – maybe a more relevant photo of someone working? Nothing significant. Thank you for your kind words of encouragement. I hope my article about work at home jobs does help a lot of people. In my experience, an online business will earn more money than a work from home job, but it can take months until an internet business is profitable. On the other hand, a legitimate work at home job can start earning within days. Fortunately, someone can do both. I love the great organization of your page! Wow so many scams out there and its nice and refreshing to find a page that actually shows a nonscam work at home job opportunity. I like how you have organized the pricing and love that it is refundable after 60 days if it does not work for me! I may have to give it a try. I’m glad you found value in my article Work at Home Jobs. There is no way to lose with the guarantee. I hope you find a great work from home job. Thanks for the useful information for work at home jobs seekers. Getting access to seamless information base for just $18 is the real deal. As the moment I do not need any work at home job but who knows. I have good fellows in the Netherlands. Wife of my friend is about 40 and doing nothing (it is so common in this beautiful country). She is an educated woman but as my friend said the woman has to take care of the house while husband is making money. By me it is BS. I will forward your post to her maybe she found something useful otherwise she will become crazy sitting at home. Thanks for you kind comment and for forwarding my Work at Home Jobs article to your friend. I really hate it when I try to search for jobs I can do from home and it’s just a bunch of scams. I got my current work at home job through a referral at work, but I sometimes try to see what other options are out there and it’s just so hard to muddle through the mess. Thank you so much for this review! That is an amazing price for all that access to REAL work at home jobs! I will definitely be checking this out. My only question is do you have any examples of the types of businesses that are providing these jobs? Is it mostly freelance stuff or is it actual businesses? There are both freelance jobs and jobs were you are on the payroll and receive a regular paycheck. Categories include Clerical, Customer Service, Engineering & Programming, Finance, Creative Arts & Design, Writing, Human Resources, Sales & Marketing, Transcription, and Web Development. Nice mix of media and good links. I did see a duplicate passage about giving your phone number up to scammers. it’s under #8 rule don’t give up your phone number under how to make money online scams and what to look for. There is a good deal of information on your site that will be helpful to others. great interaction with the people that write to you. i love the setup overall. i also like that you promoted wealthy affiliate by lsting the free entrepreuner course. I might do something similar. Thank you for you kind and encouraging words. I was fortunate to learn early in the process the importance of creating value for my visitor. Hi Gary, I am interested in work at home and many years I am searching it but I did not heard before work at home job. it is very different. You gave much information about it. I didn’t think this subject before. It is very different, very useful and very helpful. I will also search it. I’m glad you found my article about Work at Home Jobs useful. I’m happy to learn about Home Job Stop but I have a question. Is Home Job Stop for all people in the world including Filipinos? Yes, Home Job Stop is available worldwide. I had not heard of HomeJobStop until I read your post and I’m impressed and relieved to learn that there is a good work-at-home site that could be beneficial for someone seeking that type of opportunity. Many work at home sites lead to dead end results. $18 is very affordable and worth the risk with a money back guarantee. 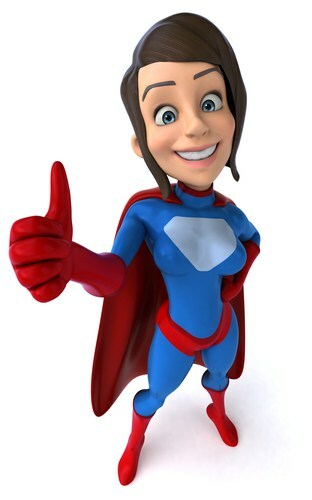 Do you know of any job searches who use HomeJobStop as a resource and have been happy with the results? HomeJobStop was recommended to me by several people who have used it to find work at home jobs. Recently my girlfriend and several of her friends got transcription jobs through HomeJobStop. They are very happy with the work arrangement and the income they are earning. As you mentioned, the lifetime membership to HomeJobStop is very affordable with a one-time fee of $18 and since it comes with a money-back guarantee there is no risk. Wow! I had no idea about this work from home job source, but I will definitely have to look into it, since I still have not made any commissions online before and having an online job can get me out of my current position faster. I have tried searching for online jobs before, and from my experience, I found it to be very difficult with the amount of positions that are either scams or are not worth the amount of effort you put in. There is only a small handful of possible online companies that I would consider working for and I applied to a few of them but have not got a position yet. It is good to know that this site is available, as well as the fact of getting a 60 day money back guarantee if not finding a job. And that tells me that this is worth looking into! I have that bookmarked now, so thank you for giving insight on this! Hi Gary, and thanks for sharing an awesome review about homejobstop. I must say that I never heard about this work from home opportunity until I stumbled on your site. I am a blogger who is always on the lookout for opportunities like this to help my readers and you understand how information like this means to us. So thanks very much this great review, will make sure to come back for more awesome stuff. It’s the only place I recommend for finding a legitimate work at home job. The 60 day guarantee removes all risk and the low price also makes it easy to try. I’m fascinated. Not only is the price incredibly reasonable, but the value of having a system to bypassing scams is of ENDLESS value. I can’t tell you how many bunny trails I was lead down. Everything about that situation stunk. If it looks like a skunk, and smells like a skunk, it’s probably a skunk, right? It’s what my Dad always says. I wanted to believe that there are legitimate ways of making money on line though, and with sites like this, they become so much easier to find. Starting out is dangerous for every newbie. The scammers know this and will try to get as much money out of anewbie as quickly as they can. Unfortunately, not only does this damage the newbie’s finances, it may also destroy their confidence to ever try again. The online opportunity cannot be overstated. I struggled for years and managed to do everything wrong at least once, but I didn’t quit. Then, after a camping trip, I came home to find my fledgling website had made $500 in two days without me. It’s only gotten better since then. I realize not everyone wants to build an online business and may just want to make money from home. This is why I recommend Home Job Stop. As you mentioned, the price is reasonable, plus there is the sixty day guarantee. You can’t lose. I still recommend building an internet business, but it may take several months before a new website generates income. For those who need money fast as they build their online business, a work from home job may be the answer. Thanks again for the advice Gary, that’s excellent! I was very fortunate to avoid most of the scams, at least financially (lost plenty of time though). My wife may consider working from home in the near future, and we will likely return here and get set up with Work at Home Jobs. I DO have a question though. What is your familiarity with something called Ad Adder. It’s very new, so there is very little outside information about it, or reviews. Have you heard of it at all, and if so do you know if it’s a legitimate way to make a little side money? Thanks! You’re welcome. I’m always glad to help. I’m not familiar with Ad Adder but looked it up and all I found was a health website. Is this the Ad Adder you are asking about? 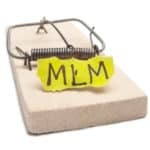 Just as in a previous post, I have a great deal of experience regarding Multi Level Marketing companies.I can say upfront that all of these companies are different but the new rep and or rep with low production will experience that painful feeling of spending more money than you make. This is actually ok if there is a great product that you love and you would buy it anyway without the opportunity. I don’t think that I have ever seen that be the case. The reps are the customers, they buy to get qualified to make money, and most often the product is overpriced. . Thanks so much for sharing your experience with Multi Level Marketing. I agree, it seems usually an MLM will use the promise of making money to justify the high prices they charge for their products. They sell the dream. Like you, I tried several MLMs, but that was back before the internet. Now, MLMs are popping up all over the place that are in my view thinly veiled pyramid schemes. I loved visiting your site. I particularly enjoined the presentation on MLMs. I have been offered these kinds of opportunities before and thank God I’ve seen others before me fail at these, unfortunately, but I learned from them not to invest in those. I also really enjoyed the links that take you to the FREE online certification program. I will be visiting your site again soon. Have you heard of Itworks! I’m pleased you like my site. Thank you for your kind words about my article Work at Home Jobs. You mentioned MLMs. 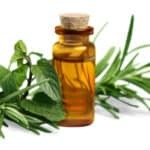 Over the years I’ve been in four different MLMs and I always spend more money than I made with those schemes, not the mention the enormous amounts of energy it took to try to keep it all going. MLMs are dependent on recruiting and people are constantly leaving. It’s like trying to juggle chainsaws. The worse part about MLMs is that even if you succeed with them, you have only built a business inside a larger business that is not yours. At any moment, your business can be taken away. I had not heard about ItWorks! until you asked about it. I visited their website to find out about them. ItWorks is an MLM. Read the earning disclaimer and you will see the various levels. You can find a link to the earning disclaimer at the bottom of their website. Everyone wants to work from home but few know how to do it. Home job stop looks like a great option for those seeking to expand their income while in the comfort of their own home. One thing I hate is scammers and time wasters. With Home job stop it looks like I will no longer have to put up with them, thank you! In my experience, Home Job Stop is the best source for a work at home job. There’s no risk, so anyone can give it a shot and if they’re not happy with it, get their money back. Naturally, there are a lot of variables when searching for a work from home job, some people have had better luck than others with Home Job Stop. My girlfriend and her friends got transcription jobs on their first try with Home Job Stop. A few people have commented that it took longer or they didn’t find a job at all. However, as you mentioned, Home Job Stop will save you from the dreaded scams. I’m like you, I’d much rather work from home. For someone with an entrepreneurial spirit, building an internet business has much more potential. However, I realize not everyone wants to build a business and even those who do, might need an income before the business is profitable. This job board is the best solution I’ve found for reliable work at home jobs. There are so many scams out there, Gary. Your information about Home Job Shop is much needed, especially as people look for work while remaining at home for one reason or another. Being able to apply your native and acquired talents and abilities to earn some extra bucks not only can help to pay the bills, but can give a great deal of personal satisfaction – better for me than becoming a checkout clerk for a few extra bucks! Thank you for sharing this information. The price certainly seems fair, and the 60-day satisfaction guarantee makes taking a good look very comfortable. A close friend of mine, who has a good job, used Home Job Stop to find a transcription job. She loves to transcribe and says it’s like meditation to her. She’s thrilled I introduced her to Home Job Stop. I have been a member of Home Job Stop for many years, almost 1 7 to be exact. They do have many jobs listed, but I must honestly say that I have never found one or been hired by any that I pursued for one reason or another. I keep going back to it every once in a while to see if there is anything I am qualified to do. Hopefully something will come up some day! Thanks for sharing your experience with Home Job Stop. My girlfriend and several of her friends found transcription job right out of the gate. They’ve been very pleased with it. Great article. It is really refreshing to know there is really a legitimate work from job site that one can easily recommend others to. As you mentioned, if you google “work from home jobs”, you have just opened the can of worms for scams. So thanks for doing this research and provided this great resource. Hi, Dr. Patrick Moses Fraser! It seems scams target anyone who is trying to make money online. No wonder so many people get discouraged and quit. It’s understandable. The job board I recommend in my article “Work at Home Jobs,” has proven itself time and again. I know several people who have gotten jobs through this job board. The income has made a dramatic difference in their lives. It is great to know that there is a trusted, reliable source provided by people who want to help others. There are too many work from home scams taking advantage of the simple, down to earth, job seeker. Homejobshop which is an online job bank and paying a one time lifetime fee of $18 is really not much. But the opportunity to find a work at home job at your own pace, stress free and doing something that you like is priceless. Thank you Gary for providing this review as I am sure it will help others having difficulty in finding employment as well as for those that have a disability. Thank you for your kind words. It’s amazing that finding a decent opportunity online is so difficult. It is my privilege to help people find legitimate work at home jobs and business opportunities. Thanks for the information. I have health problems that make it tough for me to work at a regular job, but this sounds like a good solution for someone like me. Do you know if these are full time positions or are they part time or seasonal jobs? Is there any “investment” required (other than the membership to the site)? There no other investment after you purchase the life time membership for $18. On the job board, you’ll all sorts of job and terms, including full-time, part-time and seasonal. You will find hundreds of companies on the job board and will be applying to each company. 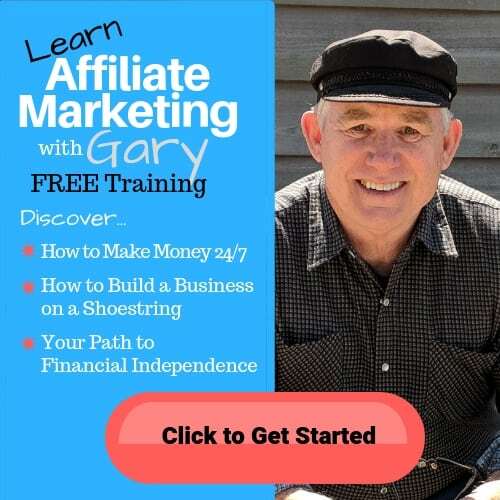 Hello Gary, thanks so much for sharing this post, I do not know anyone who will not be excited to make some extra money in their free time. And who knows, just starting with some extra money can lead to a full time income. I have never heard of home job stop but that maybe because I was not really looking for online income opportunities or to change my present job until now. The $18 one time fee is quite reasonable given it`s just a one-time payment. I agree finding honest programs online is hard, I know some years ago when I tried online programs, I landed in one scam site after the next so it`s great to know there are real and honest programs out there. Thanks so much for sharing, really enjoyed this post and I have bookmarked your site for when I will be looking for ways to earn some extra money online. I’m so glad I found this article! It’s just what I’ve been searching for. I know I would probably make more money with your free training, but I’m really not an entrepreneur type. I need a regular paycheck but I want to work from home. I know ClickBank is legitimate and stands by their 600 day guarantee. Because there is no risk and the job board only costs $18 for life, I don’t see how anyone can lose if they just want to work from home like me. Thanks for your post on this. I hadn’t heard of homejobstop before so thanks for sharing your two cents on the company. I like the fact that they have a 60 day money back guarantee that most companies like this would not offer. I’ll have to take a look at the site and see if there any any suitable jobs there for myself. I personally prefer to pursue my own online business, but, not everyone is cut out for entrepreneurship, so I’m making note of this resource for those who would prefer a job. I can think of a couple of folks right now, so I’ll send them to this page. Frankly, $18 with a money-back guarantee is not bad at all. Cheers! I agree. Building an online business is not for everyone. I love it and can’t think of a better way to earn an income, however some people just want a paycheck from home. This job board is a great way to do that. I’m grateful for the people you send my way. Home Job Stop is the only job board I’m familiar with and would recommend. Fiverr can be a good option too. To succeed on Fiverr you will need to treat it like a business. Not everyone wants to build a business. Some people just want to earn a paycheck from home. Home Job Stop is great for that. Personally, I think that $18 is really a small price to pay. When you look at what Home Job Stop has to offer, it really saves one in two of the most important ways that I know. The first that is that it saves one money. I have had my fair share of getting my money ripped away from me by scammers. Nothing is more depressing than losing your hard earned money. Spending your money on scammers is one thing. The other thing that you losing out on is time when you invest in scams and lose one month, two months or even 6 months.Time is certainly something that we cannot get back. This is why I too agree with you on Home Job Stop. Thanks for pointing out the cost in time when we get scammed. You are so right. I have spent months trying to make a program work only to find it’s useless. I appreciate how nicely summarized this review is. I was not aware of Home Job Stop. I am currently enrolled with another remote job website because I agree that it is a good way to weed through the scams. My current one costs $50 to enroll and then $50 each year for membership which is almost 3 times more than Home Job Stop. That’s significant and I would consider switching based on your detailed review. Do you know if there is an $18 yearly membership or is it just $18 total for life? Home Job Stop is $18 for a lifetime membership. There are no other fees. It is the best job board I’ve found and there is no risk. If you joined and didn’t like it, you can always get your money back within the first 60 days. Thank you so much for this review. My husband and I want to sell our house this next Spring and buy a motor home and travel the country. I am hoping that my current employer will allow me to work remotely but honestly it’s a long shot so I have been looking into real remote jobs for months now and there are so many scams out there. It’s not easy to find a legitimate site with real jobs. I should know by the first of the new year if I will be able to keep my current job but I am bookmarking your review in case I need to look else where. I’m glad you found my article about Work at Home Jobs helpful. Thank you for sharing your dream of traveling and working remotely. I hope your employer will permit you to keep your job as you travel, but you have this resource as a backup. I’m sure you will make it happen. I appreciate your honest review of this home job stop listing service. If you had been given an opportunity let me know and it seems too that they have affiliate opportunities where a 50% commission is paid. Well for a firm that have existed for this long (17 years precisely), I believe that there should be some integrity in it that one should give a trial applying. This review is about Home Job Stop, a legitimate work at home job listing firm that is highly recommended and have been providing jobs for numerous people from most part of the world especially the USA and Europe which now include other areas like India etc. This is a well deserved article as a grand mother who stays at home, this is a welcome development and I will give it a trial to diversify my interest base. Most work at home jobs constantly advertised on the net do not actually offer the jobs but I believe this is going to be an exception. Thanks for the opportunity to know about this great article written by Gary. 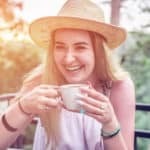 Familiar with the HomeJobStop site now for around a decade, in fact being able to land a job years ago, I can attest to everything that you stated in this article. HomejobStop as far as providing work-from-home-jobs leads for people interested in telecommuting is 100% legit. I note that they have kept their join fee at $18, what it has been for a while now instead of upping the price as many other companies have done. What I did not know from reading your article is that this program has expanded over to Europe and India, something not available back in around circa 2005 or so. A person would have to be trained with jobs in certain industries that are offered as leads by HomeJobStop. A person not certified to be a computer technician would not gain employment on these specific type of job leads posted at HomeJobStop. Still, the company is not fraudulent and over the years has been able to provide legit leads for individuals, such as myself. Thanks for mentioning Home Job Stop in another comment. It was your comment and the comment of another visitor who convinced me to look into Home Job Stop. At the same time, it was brought to my attention that not everyone wants to build an online business, they just want to work from home. Home Job Stop is the answer for them. If corporate america keeps going then I can see more people seeking work at home jobs. Traditional 9-5 jobs are too stressful for the little pay. I know as much as I want to be the manager of my office, the stress and expectations are impossible. Good review, i’ve never heard of home job stop. What is your opinion of Digital Altitude? I know what you mean about the 9 to 5 grind. The pay just isn’t worth the stress. You asked about Digital Altitude. I do NOT recommend it. Digital Altitude is a very expensive MLM. You are forced to buy levels before you can sell that level. This is one of the characteristics of a pyramid scheme. Statistically, the probability of making money with Digital Altitude is very small, near zero. The probability of losing money is near 100%. You can read my review of Digital Altitude here. wow, i never heard of this kind of platform, but this sounds very useful. I never thought that they have 60 days guarantee for such a low price. Do you think that there are job listings in Australia as well ? Most of the jobs are with companies in North America and Europe. However, you can do the work from anywhere in the world with an internet connection. Interesting. My mom works from home and she’s doing great! A unique benefit to working from home for my family is that she can watch the dog as she works. Working from home has saved her from spending money on gas and makes a great use for an extra room in the house! Thank you for this information! There is a lot to like about home job stop. The first thing that caught my eye is their category structure. I have gone to many job sites and their search function is very poor but I do not find that to be the case with home job stop. You also cannot go wrong with a 60 day money back guarantee. Many job sites are nothing but scams but with a 60 day money back guarantee, I feel comfortable. I have not seen that offer before on a job site. I am glad I found your blog and your awesome review of this job site. Thanks for sharing such an awesome review. Thank you for your kind words. I was impressed with Home Job Stop too. Anyone can try it without risk. Thanks for you kind words. I understand how difficult it can be to find legitimate job offers online. Most are just scams and will cost a lot of money for nothing. Home Job Stop was recommended to me by two people I trust. I joined so I could thoroughly check it out. The clincher for me was the low cost and the 60-day money back guarantee. Hi Gary, Good article and you are right whenever you search for local workers you are usually inundated by scammers before you can ever find a gem. I find myself always relying on asking others for references of who they have worked with in the past. That doesn’t always work though in all cases so this site is great to be able to vet out those scammer without having to pay a ton of money in order to search and leverage. I’ve been recently laid off from a job that I thought would offer some stability. Since then, I’ve been looking into training for a new line of work-namely bookkeeping. I wonder if there are a lot of bookkeepers who work from home? I’ll have to look into this. I have been on the fence about the freelance idea. I’ve been working on pumping out my content. However once i get comfortable with my index of work i plan to work with others by writing. Homejobstop will definitely be on my agenda. Do you know how payment works? whats the estimation of earnings? Thanks in advance and for the introduction to an oppurtunity! HomeJobStop is a job board where hundreds of companies post job openings for people who want to work from home. You apply to each company you want to work for. When you are hired, you are paid by the company who hired you. I have seen many people get frustrated and burn out trying to find legitimate work at home jobs. As you say Gary the internet is full of scams and fake opportunities. I can’t stress the importance to finding a good source such as this website. You will save yourself an abundance of hassles and headaches. Thank you for your kind words of endorsement. Are these kinds of jobs legit? Is it worth the money you pay for this program? Do you have a proof from real people getting hired or something like that? It’s clear that they offer a refund, a lifetime fee. 18 bucks are not too much. I’m just tired of scam sites. Hope you to understand my situation. If there is a better option to make money online I will appreciate an honest suggestion. I understand your sense of caution. I do not have proof of real people getting hired, but there are comments online of people who have found real jobs through this job board. The clincher for me was this job board was recommended to me from two trusted sources, plus the modest fee and the 60-Day ClickBank guarantee. There is no risk. Anyone can join, check it out for 60 days and if it doesn’t work for them, get their money back. I paid the $18 to join and thoroughly checked out the site. I’m confident the job offers are real, but you will still have to apply just as you would with any job. There are no fees to apply. There’s hope after all for home jobs! It’s a tough market out there, so I’m loving your honest attitude and can-do approach. Loved your tips in the “how to really make money” section, “stop being an opportunity seeker and become an entrepreneur” is such excellent advice. Just scoped out your novel on Amazon too, looks like a great read! Thank you for your kind words. You’re right. Most work at home jobs are just scams, but the job board I mentions in this post is legit and backed up with a solid guarantee. For someone who wants to make money online, it is essential to be an entrepreneur and to stop chasing so-called opportunities. Thanks too for checking out my novel on Amazon. I hope to have second novel published by the end of the year. This makes for an interesting read and gives me some hope that there is honest money out there. Working from home is something I want to do but keep coming across so many scams. I am almost at the point of giving up. I’m off to give this a look. Hopefully my faith will be restored. I understand. The internet is awash with scams. Anytime anyone searches for a way to make money from home, they are met with a tsunami of scams. Many of the scams look legit until it’s too late. As I investigate scams, I’m continually asked by visitors about legitimate programs. Usually, I refer them to the totally FREE Online Entrepreneur Certification Course. However, not everyone wants to build an online business. They just want a work at home job. The job board in this article is the best solution I’ve found. The jobs are legit and it doesn’t cost anything to apply for a job. How great this site is to cut back on the time you are looking for work. I know I had done a search many times for work at home but my gut feeling kicked in and I thought oh no not another scam!!. This looks like some action is being taken to weed out the bad sites that are not being honest. Thank you so much for this knowledge. This is a useful article to clarify Home Job Stop is legit and can let you make real money. Most people just like me will spend lots of time to get spam or scam information. The worse is to lose lots of money. I already learn many websites like Fiverr or Upwork which provide freelance opportunity to make money, but Home Job Stop provide broaden field jobs in 12 categories. I will pass it through to friends who need it. Thanks! Thanks for mentioning Fiverr and Upwork. Those are both good places to earn money onlinefor people who are freelancers or entrepreneurs. Home Job Stop is mostly working for companies, although there are freelance jobs listed too. Yes, it’s extremely hard to find genuine and paying work at home jobs online, even if you conduct a search on Google using the right search keywords. It’s possible to have tons of scams really from every search you make at anytime and you would hardly recognize a legit and paying work at home job. Obviously, hundreds of scam work at home jobs have filled up the internet spaces, yet many people are falling victims despite all scam alerts everywhere. I tried visiting the Home Job Stop website and checked things out myself. It’s quite awesome. I will give it a try and hope never to lose. I even learned there is a 60 day money back guarantee, though have one or two questions to ask. How long has the Home Job Stop website been online? Does it have a trust score greater than 50% when it comes to getting paid on time for jobs completed? Home Job Stop started in 2000, so it’s been around 17 years. You asked about a trust score. I don’t know of a third party who has rated Home Job Stop’s level of trust, but it doesn’t matter because Home Job Stop is not the one who pays you. Home Job Stop is a job board. When you are hired by a company that is listed on the Home Job Stop job board, you are paid by that company. Given the 60 Day guarantee, there is very little risk.